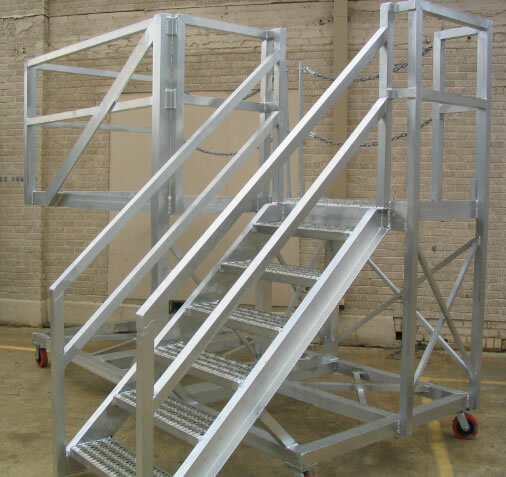 The Goldline Mobile Rack is designed to be a Portable Mobile Loading station for access to all types of vehicles. The small Mobile MAP unit can be moved by hand. 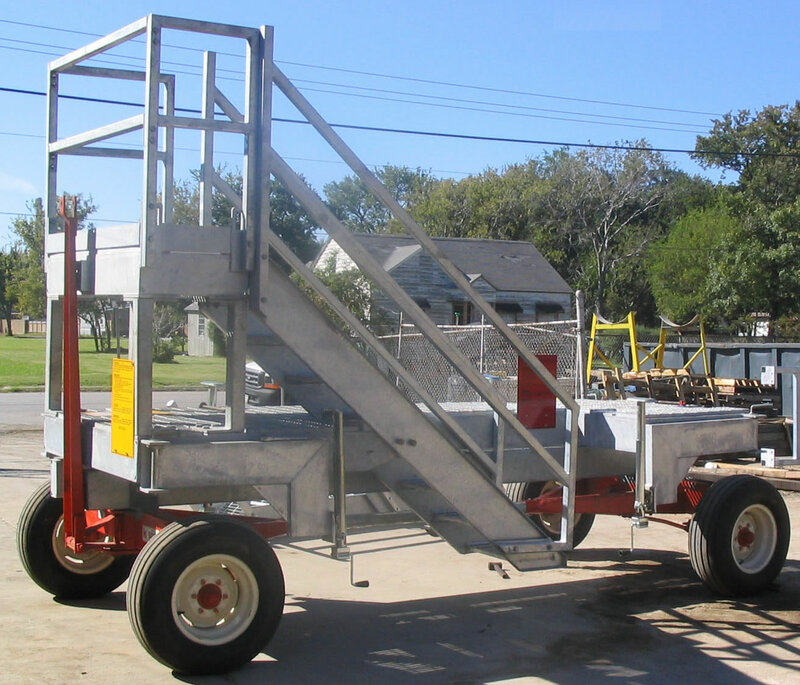 The heavy duty Mobile Loading Racks can be moved with a truck or similar vehicle. Tow bars are used to move larger and small Mobile units. 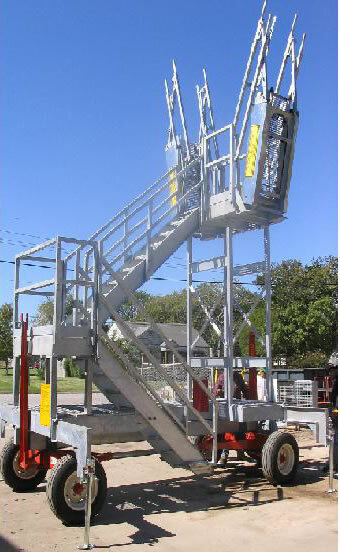 A variety of Goldline "Safe-walk" units and Safety Cages can be used with these mobile units. These Goldline Mobile M.A.P units service two Double Sided Mobile M.A.P Units being pulled down a road bed by fork lift or tractor. This will service four rail car tracks. Goldline repairs our Equipment in the Field on Demand. We also provide a Service Policy to maintain our Equipment. This Mobile M.A.P unit has an independent Handi Pump and Hydraulic Reservoir. 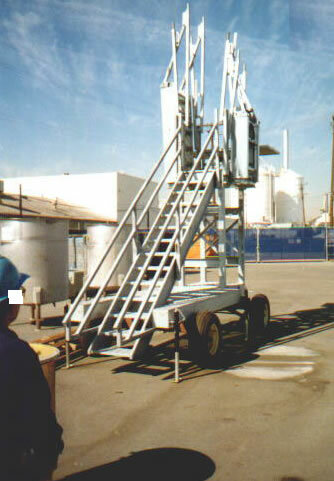 This allows the unit to quickly be deployed to remote areas without other system support. The unit can be moved by two men or with a forklift towing bar. This Mobile M.A.P. unit reaches from 10'-8" to 13'-0" and stores out of the way at 14'-10". These large Mobile M.A.P. units have a 2000 Lbs undercarriage for stability. 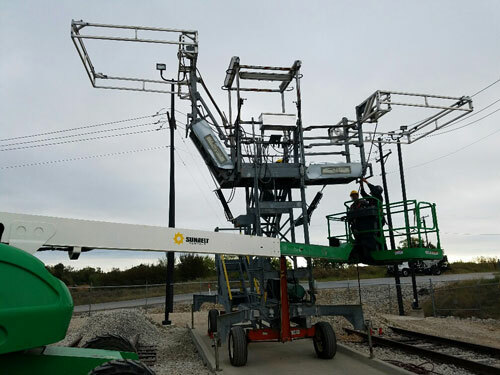 This unit includes Foam filled tires and out rigger jacks to provide a stabile platform for loading both Tank Trucks and Rail Cars in all combinations. 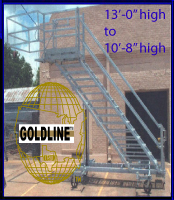 Goldline's smaller map units are excellent personnel safety platforms. 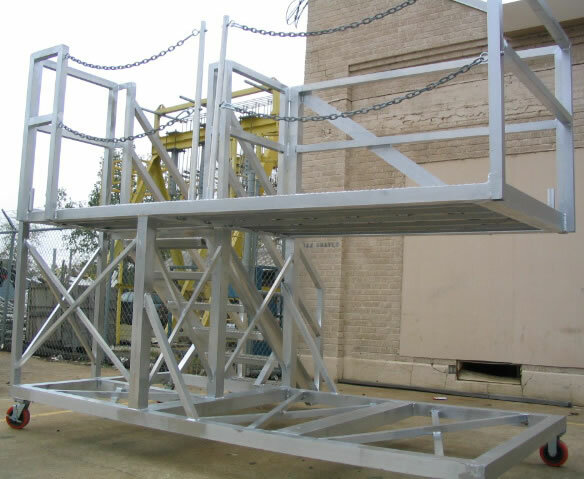 These platforms can be moved quickly into any area. 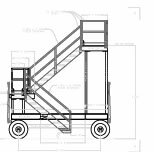 These smaller Mobile M.A.P units can be deployed anywhere but are mainly used in warehouse environments or to access the side of tank trucks. These units are custom built to customer specifications and needs. 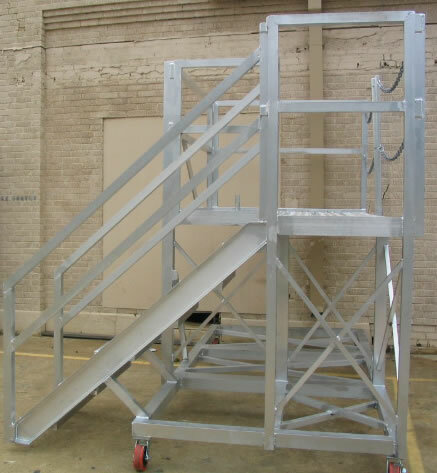 Galvenized Fast Erect Systems offer can offer decades of maintenance free use.